Robert luff & Co are delighted to present this very spacious four bedroom MODERN TOWNHOUSE situated on ever popular SHOREHAM BEACH. Benefits include a LUXURY kitchen with GRANITE WORK SURFACES, integral fridge freezer, dishwasher and wine cooler, SOUTH ASPECT REAR GARDEN and EN SUITE to Master Bedroom. Further features are this property is located with in walking distance of local shops and Shoreham foot bridge providing access to Shorham Town Centre. Tiled floor, radiator, wall mounted Rcd Unit and wall mounted thermostat. Luxury kitchen with matching wall and base units, granite work surface with once and half sink drainer with mixer tap. Four ring gas hob inset to work surface, extractor fan, inbuilt dishwasher, eye level double oven, wine rack, wine cooler. Breakfast island with continuation of luxury units and granite work surface. Under floor heated tiled floor, dining section and further living area, under floor heated tiled floor continue, double glazed opening doors to south facing garden, door to garage. 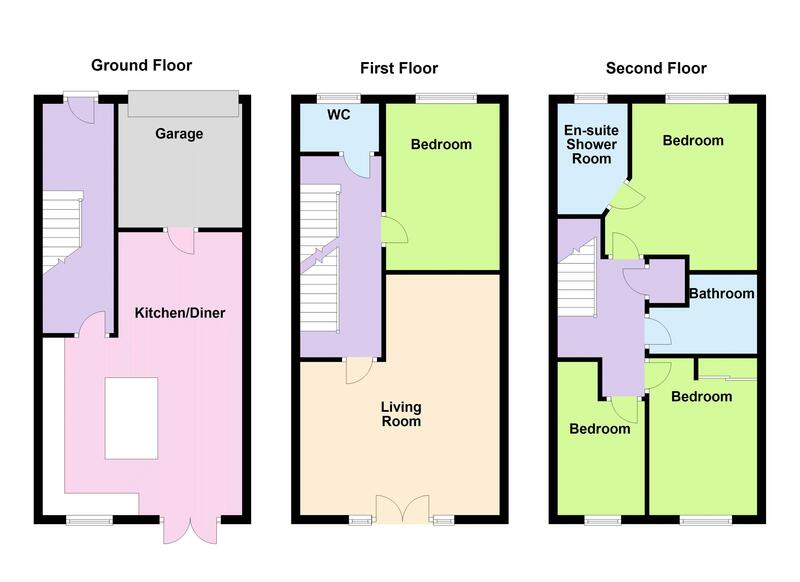 First floor living room, radiator x 2, tv point, double glazed door to Juliet balcony. Storage area enclosed, loft hatch. Double glazed window to South Aspect, built in mirrored wardrobe, radiator. Double glazed windows, radiator, inbuilt wardrobe, door to en suite. Matching three piece suite compromising of shower cubicle with mixer tap, low level push flush W/C wash hand basin with pedestal with hot and cold tap, tiled splash back, radiator, vinyl floor. Matching three piece suite compromising of panel enclosed bath with mixer tap and shower, wash hand basin and pedestal with hot and cold taps, low level push flush W/C, wood effect flooring, radiator. Landscaped, block paved patio and Indian sandstone patio area, artificial grass area, shrubs to side. Up and Over garage door half length garage, light and power. Brick paved garden with shrub borders.